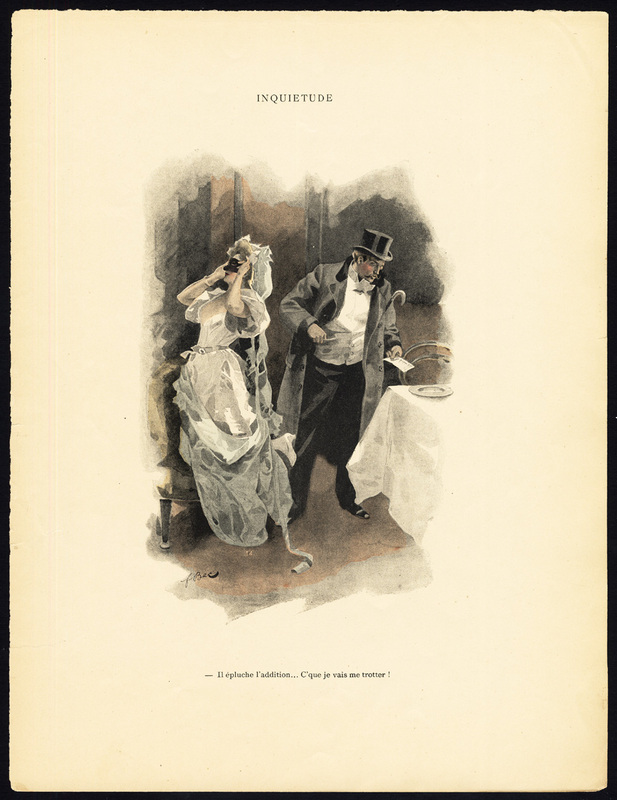 Subject: Plate : 'Inquietude.' (Restlessness). This plate shows a romantic scene, late 19th century. Size (in cm): The overall size is ca. 27 x 36 cm. The image size is ca. 14.5 x 27 cm. Size (in inch): The overall size is ca. 10.6 x 14.2 inch. The image size is ca. 5.7 x 10.6 inch.